Application and Release Executed on the aforementioned date by the party set forth above, herein referred to as the applicant and/or the releaser. 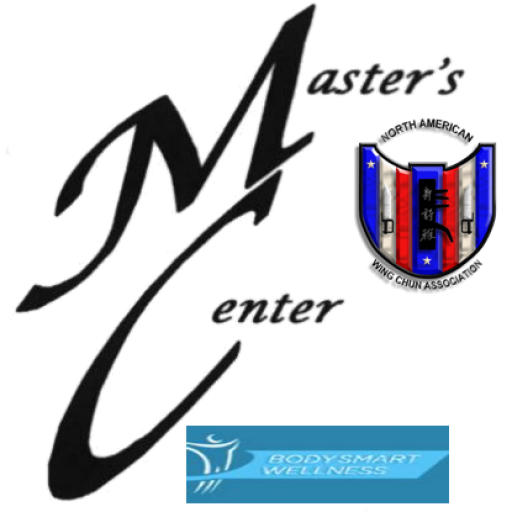 In consideration being permitted to participate in classes or events offered by BodySmart Wellness LLC. and/or Releasee and any of his affiliates, DBA’s or fictitious names, and/or including but not limited to, The North American Wing Chun Association, and any other of his/her/their/it’s Association(s), or organization(s), its officers, members, owners instructors, assistants, volunteers, landlords and/or employees and any division or affiliate of any of the above named, all hereafter referred to as the releasee(s), the person named above in this document, hereafter called the releaser, for himself/herself and personal representatives, heirs, students, associates and/or next of kin, releases, waives discharges and covenants not to sue the releasees, and releases them from all liability to the releaser, his/her personal representatives, assigns, heirs and next of kin for all loss or damage, and any claim or damage therefore, on account of injury to the person or any property or resulting in any loss or in the death of the releaser whether caused by negligence of releasees or otherwise while associated in any way with the releasees and programs. The releaser further agrees to accept full responsibility and liability for any guest of his/hers (student, employee or any other person) present or involved with any event, class or function involving the releasees. The releaser agrees to indemnify the releasees and each of them from any loss, liability damage or cost releasers may incur due to the presence of the releasee in any releasee connected class or program at any location whether caused by negligence of the releasees or otherwise. Releaser hereby assumes full responsibility for any risk of bodily injury, death, or property damage due to the presence or negligence of the releasees or otherwise while attending a seminar, class, or other function, and/or while competing in, officiating in, working in, or for any purpose participating in or sponsoring any of the courses, classes or activities of the releasee at any of the releasee’s seminars or events inside or outside of the releasee’s main location or at the releasers location. Releaser expressly agrees that this release, waiver and indemnity agreement is intended to be as broad and inclusive as permitted by the laws of the State in which this agreement is executed as well as in the home state of Releasee and that if any portion there of is held invalid, it is agreed that the balance shall, not withstanding, continue in full legal force and effect. In such an event, that any part of this agreement is not enforceable the releasor agrees that any recovery awarded to the releaser shall not be greater that the actual initial medical or physical damages incurred to the releaser. In no event can other damages such as, but not limited to, punitive damages, loss of time or loss of income, pain and suffering, be awarded. I the releaser, being of lawful age (or having the signed consent herein of my parent and/or legal guardian), in consideration of being accepted am taking sole responsibility as a participant, for myself, my heirs, executors, administrators, and assigns, hereby release and forever discharge the releasee, instructors, officers and employees, helpers, their heirs, administrators, and executors from any and every claim, demand, action or right of action, or whatsoever kind of nature, either in law or equity arising from or by reason of any bodily injury or personal injuries known or unknown, death and/or property damage resulting in, or to result from any incident which may occur as a result of participation in any of the courses, classes, or activities at any event or any activities in connection with participating in any of the courses, classes or activities whether by negligence or not. I further release the releasees from any claim whatsoever on account of first aid, treatment or service rendered me during my participation in any of the courses, classes or activities instructed by the releasee. The releasor understands that by the nature of being a contact activity there is an inherent risk of injury or death and accepts full responsibility for his/her risk in full knowledge of this. This release contains the entire agreement between the parties hereto and the terms of this release are contractual and not a mere recital. This Agreement will stay in effect for as long as the releaser is actively involved in events with the releasee and remains in effect even if the releaser withdraws and then returns at a future date. Releaser further states that he has carefully read the foregoing release and knows the contents thereof and signs this release as his own free act. I the applicant (and or legal guardian) in placing my signature below, swear that to the best of my knowledge I carry no life threatening disease. I further attest that I have no reason to suspect that I have any life threatening communicable disease. This includes, but is not limited to H.I.V. or Aids, Hepatitis B, Tuberculosis or others. Notice: New students must register as a member of the North American Wing Chun Association when they enroll in this program. New students are required to pay first month and last month tuition (2 months tuition) plus the prorated amount for the remainder of any current tuition month so as to bring their tuition due on the 20th of each month. They will then pay tuition the following month and each month thereafter thereby always being one month ahead on tuition payments. From time to time tuition increases may be necessary. Any tuition increases will be posted in a visible place in the training area at least 30 days prior to the increase going into effect. Students are required to give 30 days notice if they plan to withdraw from the program, otherwise they will forfeit any tuition remaining. Any student who withdraws and returns at a later date will be required to pay whatever the current/new tuition may be (if there has been a change). The current tuition as of the date of this application is $90.00 per month if paying with cash. $100.00 per month if paying by check or credit card (One class per week). We reserves the right to add a $20.00 late fee to any training fees or tuition received 5 days or more late, and an additional $20.00 surcharge every 5 days thereafter. There is a $50.00 charge for any checks returned for non-payment for any reason. Students with unexcused absence from classes of more than 3 consecutive weeks may be dropped from the class with no refund of tuition. Students must call in advance any time that they are going to miss class or they may be dropped from the class with no refund of tuition. Student must call prior to class time for an excused absence. Excused absences may include: student illness, death in the immediate family, a major holiday, or an annual vacation.